As much as putting the newsletter together each week is a definite time commitment, one big benefit is that I get to see the wide range of activities and events going on in the school. 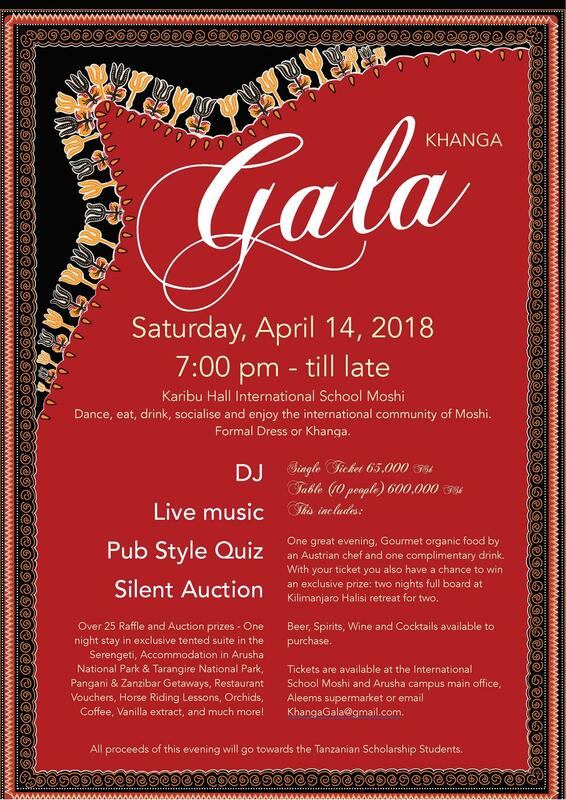 Looking at this newsletter there is fun for the adults with the Kanga Gala, which we hope will become an annual event. Fun for the kids with sports, activities, movie trips, the works. There is also service with the water point, blood drive and garden redesign. To be honest though, I have seen the photos from the water point and garden design and it looked very much like an equal mix of service and fun. Which reminds me, in addition to the Kanga Gala in April, we have an Earth Day event on the 22nd, see below for more information. Beside all of this we have the academics. The M5 students had their Mock Exams this week and talking with them, they sounded confident about the results. In the Primary the students look busy working on summative assessments for the different UOIs. I did get to see a few in different classes and they show a deep understanding of the material. Please do not forget that on Wednesday I will have parent meetings at 7:45am and 7pm for parents of P4 to M3 that would like to know more about the MAP testing. As well, in two weeks we have the Student-Led Conferences in the Primary on March 22nd and the Parent-Teacher conferences in the Secondary on March 23rd. 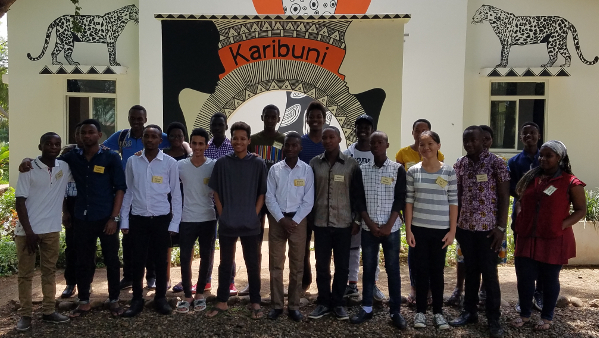 This week we had 21 students from all over Tanzania on campus to interview for scholarships to be part of the 2020 graduating class. It was an amazing group and we could not go wrong with any of them. Soon the lucky recipients will be notified, and we look forward to seeing them next year in either Moshi or Arusha. The D2 students continue their 1-1 meetings with the CAS Coordinator in which they aim to convince the CAS Coordinator they have met the 7 learning outcomes in their 18 months of CAS activity (https://bit.ly/CASlearningoutcomes). Official IB coursework tasks have already started including in Economics (commentary #1) History (historical investigation), Global Politics (HL extension video and engagement tasks) among others and which eases the demands in D2. And last, but not least, the long-awaited D2 Visual Arts show occurs on Sunday and continues through Tuesday. The D1 English B students, organized by their teacher Jocelynn Sullivan, plan to entertain with an innovative ‘mock election campaign’ including jazzy posters around campus, speeches and a mock election in Monday’s assembly. Reminders: The Friday March 23rd parent-teacher conversation is approaching – be there! Plans for the May 19th ISM DP graduation continue. The Kilimanjaro Regional Commissioner, Ms Anna Mghiwara will serve as keynote speaker for this event. The D1 English B class has been exploring Political Elections and the ways in which language is used to influence political sentiment. They have also explored how language in the form of music, persuasive speeches and propaganda campaigns has impacted political, cultural and social ideologies. The Oxford Dictionary’s word of the year for 2017 was “Youthquake” which is defined as a significant cultural, political or social change, arising from the actions or influence of young people.” The D1 students have explored how this word is relevant to their generation which can bring about change on key issues affecting them and their future. On Monday March 12, the students will be putting their knowledge into action. They have divided themselves into 5 political parties, ranging from the far right of the political spectrum to the far left and everywhere in between. The party leaders will deliver their message and their platforms to the Secondary students, asking their peers to consider the issues that matter to them. Different perspectives will be shared; different voices will be heard and next week, all of the MYP and DP students will be asked to cast their vote in an election simulation. All are welcome to the assembly on Monday morning to see politics in action at ISM. We shall have a Parent-Teacher Conference on Friday March 23. We urge parents to come on this day and discuss the progress of children with their teachers. Please note that we do not send reports at the end of this quarter. These tests will now begin on March 14. MYP students in M1-M3 will take MAP Growth tests from NWEA. These tests replace the annual ISA tests which we have given in the past. We give students MAP Growth tests to determine their instructional level and to measure academic growth throughout the school year (and from year to year) in Reading, English Language and Mathematics. The M3 will also take a Science test. 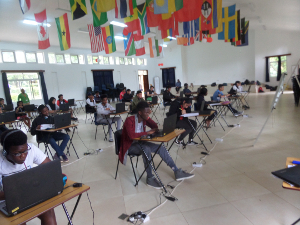 The M5 students finished their Mocks on Thursday March 8. Teachers have already began marking the exams. The results will be communicated to parents two weeks from today. We have arranged for a Careers’ Day on March 22 featuring different professionals within the ISM community. Students will have an opportunity to ask questions regarding the various professions members of the ISM community who have volunteered to give presentations on that day. Congratulations to everyone who ran in the Kilimanjaro 42km, 21km and 5km races. ISM was well represented by day students, boarders, teachers, support and ancillary staff and many parents as well. There was a wonderful atmosphere as we have come to expect of this race; which grows bigger each year. We are especially proud of M4 student Hussein Alibhai who completed the full marathon at the age of just 16 years. Sunday saw an early start for many of us in the ISM community; students, parents and teachers. Many congratulations go out to all the runners and their success in completing their chosen distances. For the rest of us, the day was less sweaty but no less arduous, charged, as we were, with the important task of handing out the water to passing runners as they flashed by. Many thanks to all our students, day and boarders, middle school and diploma, for dragging themselves from warm beds and into the rainy early morning. 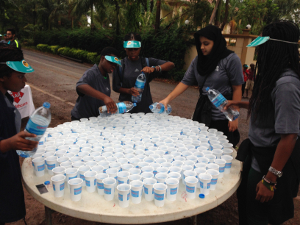 Much fun was had by all, and much needed rehydration provided to the runners. Advance notice that the blood drive has been rescheduled to Friday April 20th. More information will be coming soon, but please mark your calendar. This past week the Diploma boarders played host to the prospective scholarship students. For some of them it was like a trip back in time to last year. As well this weekend we have a group of students off to Arusha to catch a movie at the AIM complex. School will close for Quarter 3 on Friday 23rd March and reopen for Quarter 4 on Tuesday 3rd April 2018. Boarders can leave school on the Friday. Kindly note that this time they will not return to school on Sunday. A few parents have shared with us the travel arrangements for the end of this quarter. For those using flights, we request that parents send us the details in good time, and also inform us if your child will need transport to and from the airport. It is not possible for the school to provide transport to Arusha airport. etc. It should be a really fun, day involving the whole school community. More details will follow. On Thursday we marked International Women’s Day by sending representatives from the school to the Kibong’oto National Tuberculosis Hospital. There some of our female members of staff gave donations of soap, sheets, toothpaste and bleach etc. Several ISM teams have been in action over the course of the past weekend and week. The U19 Netball started their season off on the right note, winning all their games. As well, the U15 Netball started off well in their games. The U19 Boys Basketball kept up their undefeated season, as they won both their games during the week versus SCIS and St Jude’s. The U15 Boys and Girls Basketball finished their seasons this past week, and it was a good learning experience for both teams, and finally the swim team performed well this past Saturday at the SCIS Swim Gala. Congratulations to our boys Primary football team who won 2-0 against Hope School on Tuesday afternoon. It was an enjoyable and friendly match played at home. Our boys dominated the field; retaining possession of the ball for most of the match. Well done Coach Eli for preparing them so well. Congratulations also to the twenty one Primary swimmers who went to St Constantine’s School to take part in the gala. They showed a great deal of speed and skill in the water. Well done Coach Sabini for preparing them so well. 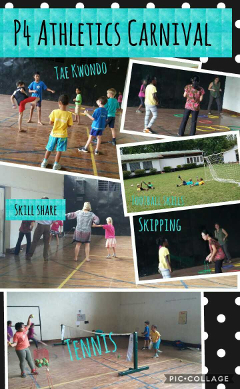 Next week we welcome the Bhubesi Pride Rugby trainers who will lead our primary PE lessons. Our students will learn excellent rugby techniques from these experts. For further details, go to this website: rugbyinafrica.org. We are now all looking forward to the Primary Sports Gala on Saturday 17th March. We will host visitors from ISMAC, St Constantine’s School, Dar International Academy and Moskisa. U11 and U9 football matches will take place in the morning and swimming will take place in the afternoon. Many thanks to all those parents who have already agreed to help out that day. If you are able to assist us, e.g. with timing or marshalling, please email me on kateschermbrucker@ed.ismoshi.com. 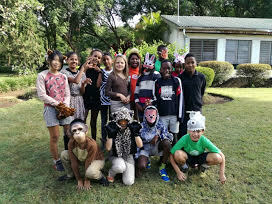 Our students began the week by dressing up as their favourite animal to mark Wildlife Day. 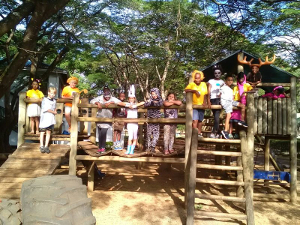 The children dressed as frogs, lions, zebras, monkeys, elephants and more. It was a reminder to us all that we have lost half of our wildlife in the past 40 years alone. This has been due to habitat loss, pollution, changes to ecosystems, water contamination and poaching etc. Hopefully, by raising awareness, we can help to prevent future losses. I know that some of the PYP Exhibition groups are working hard on this issue right now. This week the children in P1 – P5 have been completing their summative assessment tasks for the fourth unit. Next week they will tune in to their fifth six week unit of the academic year. Your child or their teacher can give you more details. Parents of P4, P5 and P6 children will have received the child’s MAP test results via email. To learn more about these results we invite you to attend one of the two meetings being held on Wednesday 14th March; at 7.45am and at 7pm. A visit on Thursday from a local animal expert focused on the five senses or our Tanzanian wildlife as well as ourselves as humans. 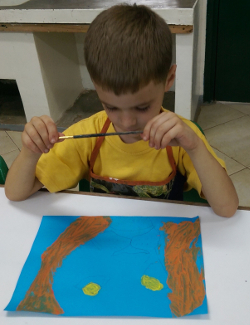 Baba Christian was really impressed with the children’s level of knowledge and vocabulary. We all learnt a great deal. Our animal art-work is now on display outside the room. Please stop and take a look. The children worked very hard on these colourful pieces. Next week we’ll be beginning our assessment part of the unit by developing our own ‘super-creatures’ with elements of the top adaptations for sense coming together into one amazing animal. The children worked on their summative assessments this week. In groups of 4 or 5, they were each given a task to create a poster for an essential agreement of their choice to present to another class. This coming week, they will present their posters to their respective classes. They are very excited to promote thriving learning communities through their work. 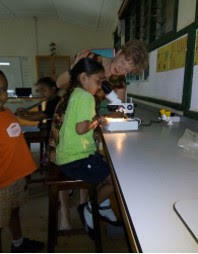 The children also completed their tour of our larger community by exploring the science lab and the sick bay. Next week, we will be beginning a new unit. We will be looking at ‘Sharing the Planet’. Our central idea will be: Human action has the power to preserve or destroy the earth’s natural resources. We will begin by exploring how local people use the natural environment. In the coming week, we will be revisiting how to read and collect information. We will begin by looking at grid maps and pictograms. Well done to all the children who competed in the swimming gala on Friday. This week the children have been busy finishing off their summative assessment. Please talk to your child about it and have them explain what they did. This reflection is an important and valid part of any summative assessment. The children have begun to use two authors as mentors; Robert Munch and Gail Gibbons. They are using these texts for reading and writing. In math we are concluding fractions this week and moving onto reading and comparing larger numbers, estimating and money using the base ten system. As the rainy weather begins please make sure your child has indoor shoes. It would also be helpful to have an extra set of clothes in the class of emergencies. We have concluded our economy unit and the students have cashed out. When our school shop shut down students got to cash in their stocks and calculate their earnings with Townes coming out as a top earner at over 200 Diamond Dollars!. We used line graphs to compare our earnings with our classmates. We used our vocabulary to show our understanding by writing Haiku’s and the students found this an intriguing form of poetry and expression. P4 kids ran a fun Athletics Carnival and thanks to all who came out and supported the students in their first business endeavour. This week the P5 students have been busy constructing their renewable energy projects. They have been working on solar ovens, water powered boats, water turbines, wind powered boats and solar powered cars. The lack of sun this week has been disappointing but has helped highlight some of the disadvantages of solar energy – the sun doesn’t always shine when you want it to! We hope to share our projects with parents and other PYP classes but this will have to wait until all projects have been tested. This week in maths we worked with decimals (tenths and hundredths.) Next week we will continue exploring decimals and also do some work on probability. Our energy unit is drawing to a close. We will continue exploring electricity and design switches to use with bulbs or buzzers. The children will review their portfolios in preparation for student led conferences which will take place on Thursday, March 22nd. Details regarding appointments will be sent home later. Please keep working on recall of multiplication facts at home as these are the building blocks for work on division, fractions and decimals. The week has been quite eventful and students had some interesting reflections to share. I would also like to take this opportunity to thank parents for their support in bringing snacks and drinks to share during the “Meet the Mentor” session we had on Wednesday. It was very exciting for the P6s to meet their mentors and get to know them a little more. Our Exhibition Groups this year are on the following issues; Plastic Pollution, Animal Cruelty, Animal Conservation, Sports and Social Media. The students have started their research and are trying to zoom into their issue and narrow it down to a project they can manage. They are already thinking of people and places they can visit to get more information and action that they can take. I will also be calling on parents to support with taking students to places they need to visit for their field trips.